Would you say that a tech background is essential to become a PM or can you start with an alternative background relevant to the company's goals? What sort of applicant would benefit most from a PM course? How did you get into Product Management? What was your career path? What advice do you have for people trying to land a junior or associate-level PM role? What experiences helped you come to where you are now? How were you able to make the pivot you did? Any advice for making the transition from digital project manager to product manager in a software company? Did you take the Udemy classes prior to accepting your current position as a Product Manager? How realistic is it for a software engineer to look for a role as a product manager or an associate PM? Which courses on Udemy helped you through your journey? What are the top challenges that a PM faces everyday? Would you say interning in a PM position would help me? Is PM entrepreneurial in nature? Is there a certification you can get in Product Management like you can in Project Management? How important are financial skills (P&L etc.) for the PM role? What was the single greatest thing that you have learned and then applied, that moved the needle the most in your current position? 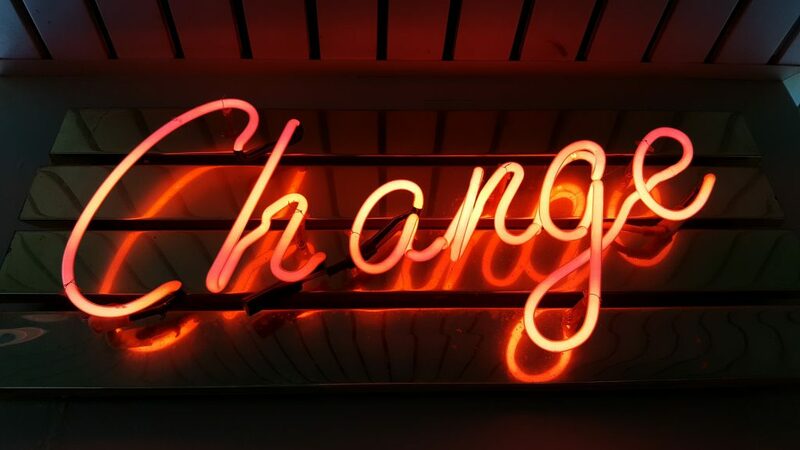 What trends do you see are most important in the digital education space for a PM to keep in mind? How can a Director of UX best transition to a Product Manager role? What key activities would you recommend a person, without a tech background, to enter a product manager role? What kind of hard and soft skills would you say helped you to become a PM? Would you say that a tech background is essential to become a PM or can you start with an alternative background relevant to the company’s goals? What does it take to be hired as a Product Manager? How can you leverage your current skills to make the transition? Well, listen up, as an expert Pearson PM details his journey and answers aspiring PMs’ questions about where to learn more, how to practice and what you can do to be the hiring managers’ first choice. Want to have your questions answered at our next #AskMeAnything session? Then head over here to join our Slack community and keep your eye out for our next Live Chat #AMA event here! It’s free!! Andrew Pinckney is a Product Manager at Pearson, the world’s largest learning company, where he builds digital products focused on helping students develop the skills they need to get jobs. 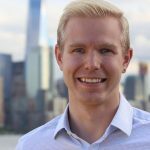 Prior to Pearson, Andrew did a stint on Wall Street at Bridgewater Associates and taught high school math through Teach for America. Andrew also enjoys yoga, has lived on both the East and West coasts of Africa and has recently completed a triathlon with his mother. She graciously let him finish ahead of her! Here’s his perspective on transitioning into product. I didn’t have a tech background. I think it can be helpful, especially if your PM role is really managing an engineering team, but I certainly don’t think the tech background is essential. What is essential is a healthy dose of curiosity, along with humility about topics you don’t know well. I’ve used a number of digital courses to build out my PM skills since I started in the role. I actually really love some of the PM courses on Udemy – they give a good breadth of the PM role and dive into some of the key skills you’ll need to develop. The courses are also self-paced, which is great for someone who is a working professional. Like a lot of product managers, I had a bit of a circuitous route to the role. I had experience as an educator and then as a project manager, so my role as a product manager at an education company was a good fit for me. One of the great things about product management is that there isn’t one career path. The best advice I have is to backwards plan. Think about the type of PM role you’d be interested in, talk to people who have that role and how they got that role, and then figure out what steps you need to take or the skills you need to learn in order to get that PM job. Be fearless! Go talk to as many PMs as you can. Join your local tech meetup group and go to the meetings. Ask PMs to get coffee with you and then interview them about their jobs. Then ask to be connected to hiring managers! I think having good project management experience was really beneficial in helping me land my PM job. I had great organizational skills and was able to demonstrate that I could lead through influence and through successful project management. In a large enterprise like Pearson, the product management role requires a lot of PM skills so having those skills helped me land the job and have helped me tremendously in my day-to-day work. I’d suggest you track down a couple of product managers either at your current company or at a company where you’d like to work and chat with them. Figure out what kind of skills they have, what kind of skills they think are important for PMs in your industry and what kind of things they like to see on PMs’ resumes when they apply. Then go build those skills! Don’t be afraid to be a little aggressive – follow-up after you’ve submitted a resume or ask for feedback if you don’t get an offer after an interview. I actually took the Udemy class after I started in the role. I knew I lacked some key PM skills and so I wanted to be sure I upskilled myself so I could be more effective in my new role. Every company defines the PM and APM roles slightly differently (for some companies, APMs are all entry-level, at other companies, APMs have lots of experience). I’d take a look at the job descriptions and, if possible, talk to someone who works at the company to figure out what kind of profile they’re looking for with each role. Well first of all, if you live in a city where Product School has a campus, go there first. In-person learning + the connections you’d make would be incredibly valuable. If you don’t live in a city with a Product School campus, then try out Udemy. The course is called Become a Product Manager – Learn the Skills & Get the Job. I think it really depends on both the industry and the company. Here are some of my challenges: managing stakeholders with competing priorities, working across time zones (we have dev teams offshore), keeping teams aligned, not forgetting to go talk to my customers as much as I talk to my management team. The answer, unfortunately, is that it depends. In some companies, the PM role is incredibly entrepreneurial and you can really be the mini CEO of the product, making decisions you’d have to make if you were running your own start-up. In other companies, the PM role is more administrative and project manage-y, running teams of developers, managing release schedules and coordinating design, engineering and sales organization. If you’re interested in being an entrepreneur, make sure you know what type of PM role you’re stepping into before you accept a job offer. I’d have to defer to the team at the Product School to see if they’re planning to offer certifications, but there are not any industry-wide certifications for product managers at the moment. A lot of PMs have agile or project management certifications that can certainly help to land PM roles. This one also depends. In a lot of companies, the PM is responsible for the P&L of the product, so the financial skills are really critical. This is one area where I really had to upskill when I started my job. I’d say go ahead and learn the financials skills – take a class or go find a good book to read on the topic – it can’t hurt to have the skills and having the skills will open up opportunities for you as a PM. What a great question. 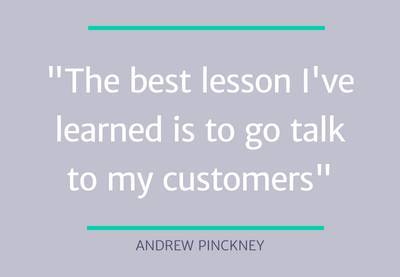 The best lesson I’ve learned is to go talk to my customers. In a large enterprise, it’s really easy to get sucked into the corporate minutia – attending lots of meetings, running lots of debriefs, putting together product plans, adjusting your backlog, building your P&L, etc – that you can so easily forget to go talk to the people who are the most important stakeholders – your customers and users. Learning that lesson flipped a switch for me AND made my job so much more interesting and exciting! It’ll be really interesting to see what impact AI has on education. At Pearson, we’ve got a couple of really exciting projects underway to see how we can integrate AI into our product offerings. I think we’ll see a lot more demand for short, bite-sized education chunks from learners that are trying to build skills that employers are looking for. I think we’ll also see fewer people going to in-person, four-year schools and a lot more people upskilling via bootcamps or online courses. I’d go talk to the product managers you work with at your company. Figure out what skills they have and do a gap analysis against the skills you’ve developed in your role. Then go out and take some courses, or ask for some responsibilities that are more aligned to PM day-to-day tasks. I’d suggest you try to leverage your current job to build your PM skillset. Figure out what big gaps you have, then go talk to you boss and ask if you can take on a new project that might help you build out your PM skillset. And keep coming to Product School events! Since I don’t have a tech background, I think the hard skills that helped me were my project management skills, but I leaned hard on my soft skills. I think good PMs are very collaborative and are able to drive to decisions with a good sense of urgency. Also, they’re able to juggle lots of balls at the same time while always keeping the goal in mind!